“Our enormously productive economy demands that we make consumption our way of life, that we convert the buying and use of goods into rituals, that we seek our spiritual satisfactions, our ego satisfactions, in consumption. The measure of social status, of social acceptance, of prestige, is now to be found in our consumptive patterns.” – Victor Lewbow, Economist, 1955. Every bit of plastic ever made still exists. Let that sink in. Since the 1950s we’ve created over 8.3 billion tonnes of plastic, and every bit that hasn’t been recycled or incinerated is still around today. 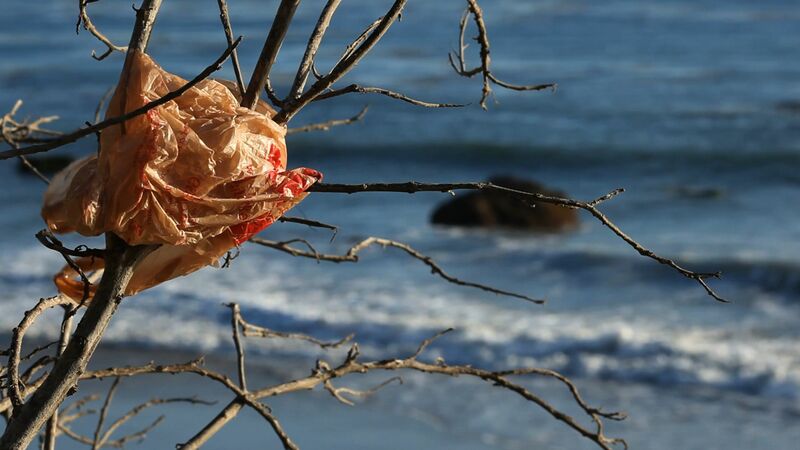 Plastic, for all its environmental benefits, has an inherent flaw. We use it primarily for products that are disposable, but it is anything but. The result? Our landfills and oceans are overflowing with plastic, much of it in the form of single-use items. Plastic water bottles, takeout containers, straws, plastic cutlery, coffee cup lids, and food packaging are everywhere, and only now are we starting to realize the consequences of our disposable society. In fact, disposability and consumption are so ubiquitous, that we see them as normal. In her essay Design for Disposability, Leyla Acaroglu tells the history of how we got to where we are. “Waste and disposability, are very much a product of intent to design a system that perpetuates consumption,” she writes. Consumption of disposable goods increases a country’s Gross Domestic Product (GDP), so it is seen as a sign of a healthy economy. 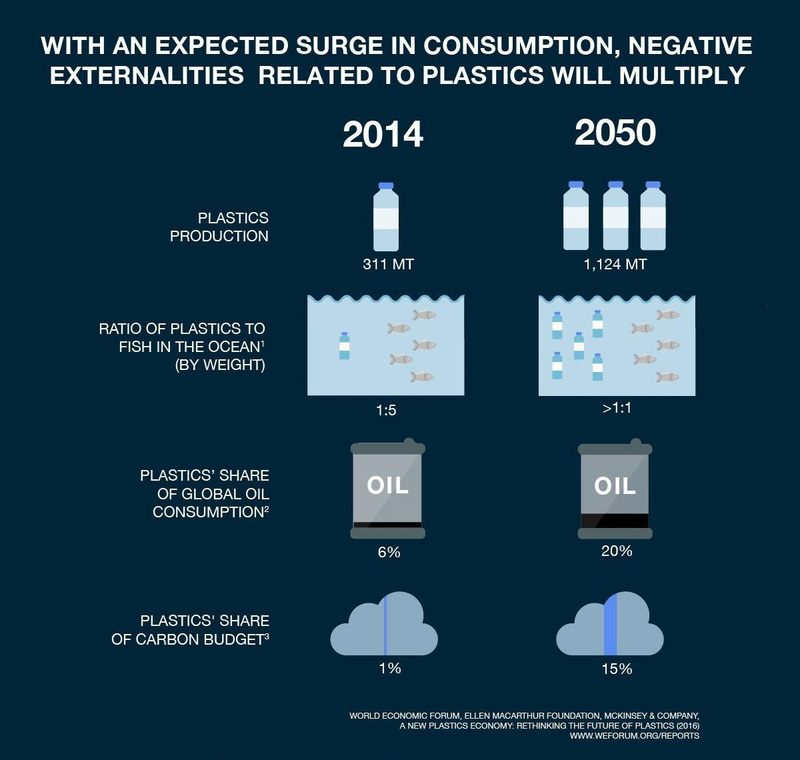 Now we’re at a point where the effects of plastic consumption and disposability are being seen in polluted oceans, overflowing landfills and rising emissions from the skyrocketing use of fossil fuels. So what’s to be done about our single-use conundrum? 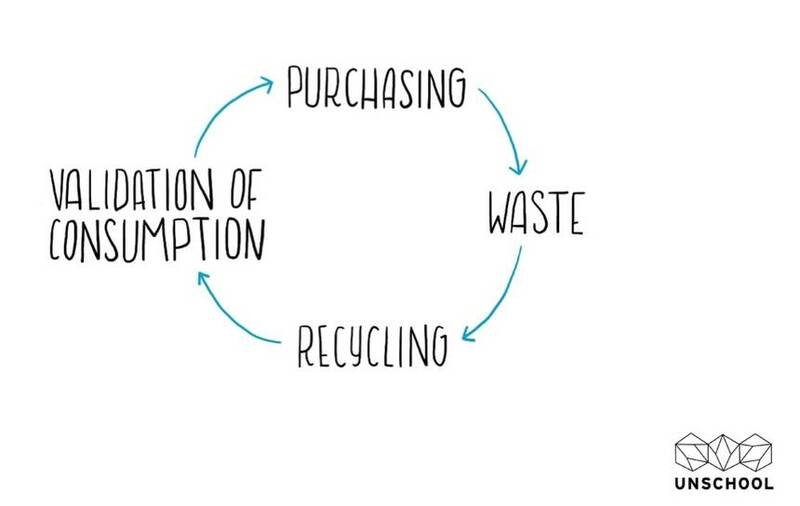 How do we escape the cycle of consumption and disposability so the world we leave behind is livable? Recycling, while important, isn’t the answer. Our ability to recycle products is vastly outpaced by the production and disposal of new and diverse plastic packaging. A new circular economy is on the horizon, but what can we do right now to support this important shift? We can start by saying “no.” No to disposability and yes to intelligent design. No to consumption and yes to reduction. No to single-use and yes to reuse. Enter Plastic Free July. Started in 2013 to raise awareness about the harmful effects of single-use plastic pollution, it’s grown into a worldwide campaign with millions of participants signing up to say NO to single-use plastics. 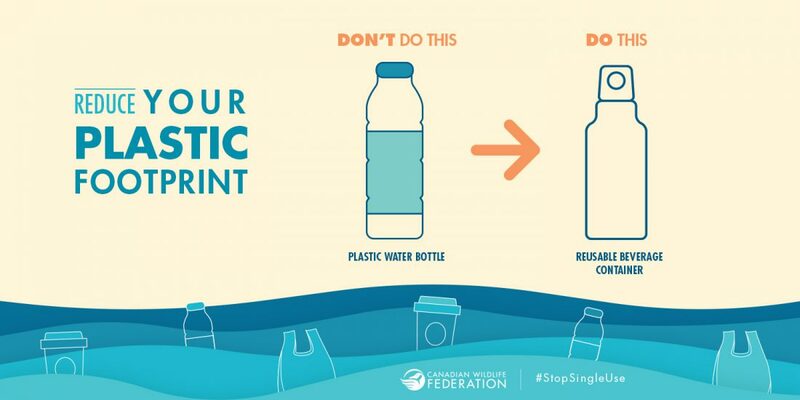 Making a choice to refuse single-use plastic items doesn’t have to be daunting. To start, pick one item, try to avoid just that, and go from there. 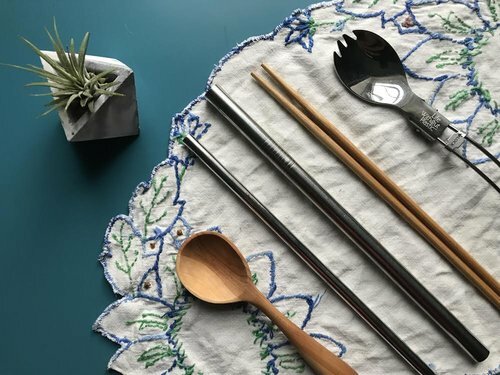 To help you out, here are 5 items you can stop using today to drastically cut down on your plastic consumption. It makes little sense to be bottling tap water from across the continent and shipping it here when we have clean, drinkable water flowing in our taps. Using a reusable water bottle will save you a ton of money and will help you cut out wasteful single-use water bottles. 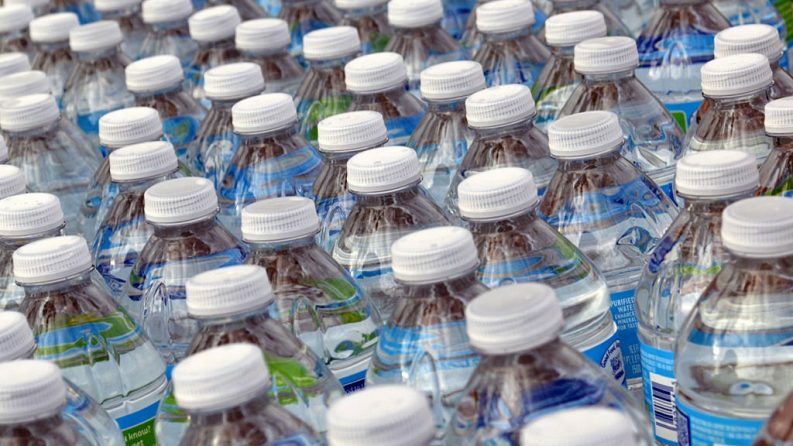 Check out the Story of Bottled Water! We got along just fine before the invention of straws, and for many years the paper straw did the trick. 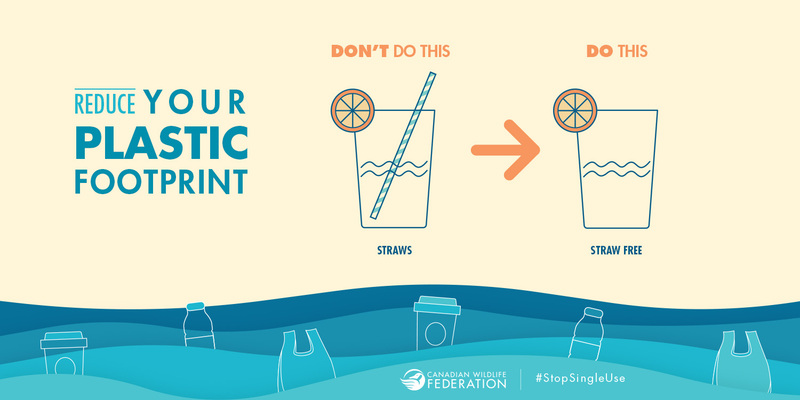 Simply say “no straw please” when ordering a drink, or invest in a reusable glass or metal one if you use them often. Straws are small and hard to recycle, which is why they so often end up as litter. Paper straws are making a comeback, and you can pressure your local businesses into making the switch! Kudos to the Dirty Northern in Whitehorse for ditching plastic straws! 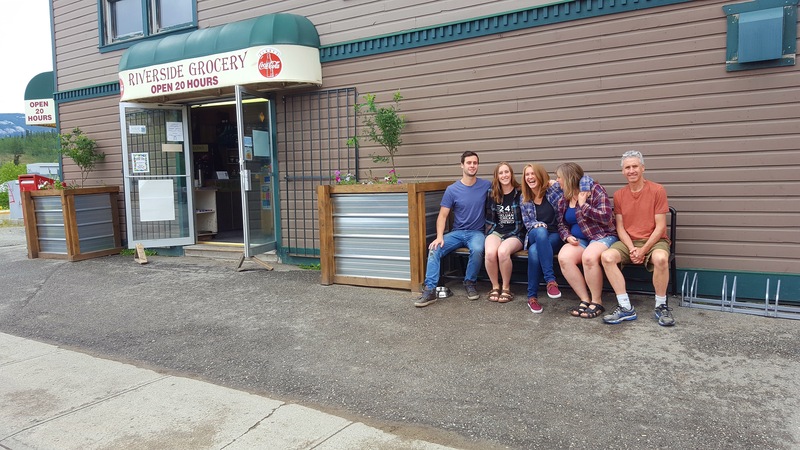 Grab your reusable straws at Riverside Grocery or Baked Cafe in Whitehorse! 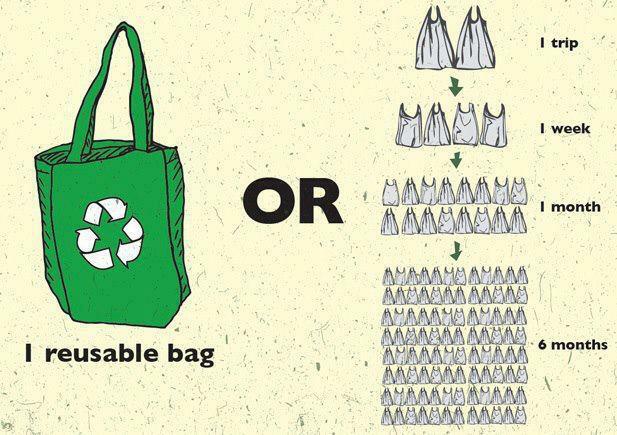 By now many of us have a collection of reusable grocery bags, the only trick is to remember to bring them! Keep a few in your car, or buy one that you can put in your purse or backpack. Skip the plastic produce bags, you’ll be washing the produce at home anyways. Grab a few reusable produce bags for the few instances where you need one! 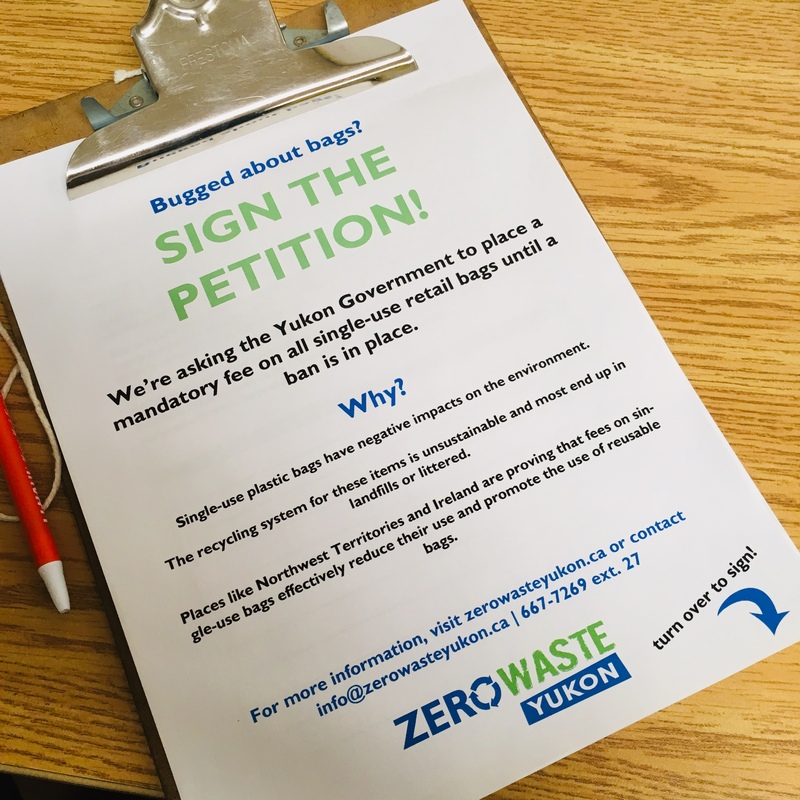 Unfortunately paper coffee cups aren’t recyclable in Yukon yet. Plastic lids can be recycled but it’s better to simply avoid these altogether. 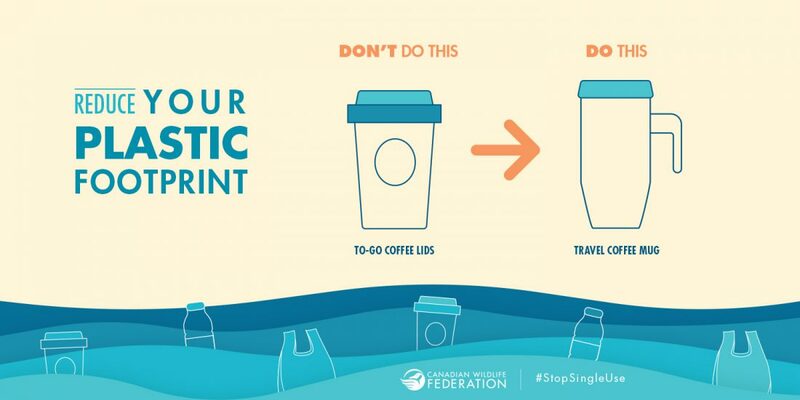 If you don’t have a reusable mug yet, invest in one! Your coffee will stay hotter and you’ll get a discount at most places! For those of us who are cup-a-day (or more) drinkers, bringing a reusable mug will cut down on an enormous amount of waste! This one is tricky. Many places still use dreadful styrofoam to package food. Best thing you can do is eat in, or try bringing your own containers when getting take-out! It’s not as weird as you might think, and will go a long way to cutting down on plastic waste. Keeping a metal fork and spoon (or spork) in your bag is also a great way to avoid hard to recycle plastic cutlery. Finally, if you must get take-out, make sure the containers your favourite restaurant uses are recyclable or compostable and dispose of them properly! It’s easy as that! If you can give up even one of these 5 things you’re well on your way to giving up single-use plastics altogether. Don’t be discouraged if you end up using some single-use items along the way, instead, celebrate! Be proud of the fact that you’re helping to create a cleaner, better world. Never forget that any action, no matter how small, counts for something! Visit our Plastic Free July page or our social media pages for tips and guidance all month!